It sometimes seems as if everyone around us is being diagnosed with a chronic illness—and that we might soon join them. 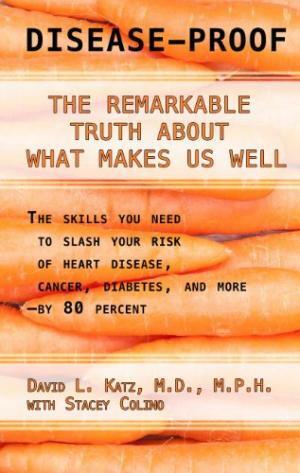 In Disease-Proof, leading specialist in preventive medicine Dr. David Katz draws upon the latest scientific evidence and decades of clinical experience to explain how we can slash our risk of every major chronic disease—heart disease, cancer, stroke, diabetes, dementia, and obesity—by an astounding 80%. Dr. Katz arms us with skillpower: a proven, user-friendly set of tools that helps us make simple behavioral changes that have a tremendous effect on our health and well-being. 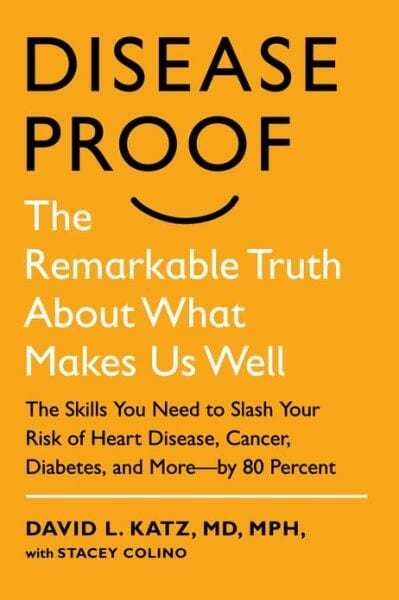 Inspiring, groundbreaking, and prescriptive, Disease-Proof proves making lasting lifestyle changes is easier than we think. David Katz, MD, MPH, FACPM, FACP, is an internationally renowned expert in chronic disease prevention and weight management. 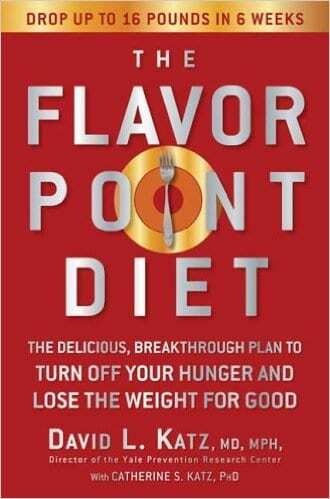 He is a specialist in preventive medicine, and the founding director of Yale University’s Prevention Research Center. Stacey Colino’s writing has appeared in the Washington Post Health Section and in dozens of national magazines including Newsweek, Real Simple, Health, Prevention, Parents, Cosmopolitan, Glamour, Self, Shape, Woman’s Day, Good Housekeeping, and more. She lives in Maryland. 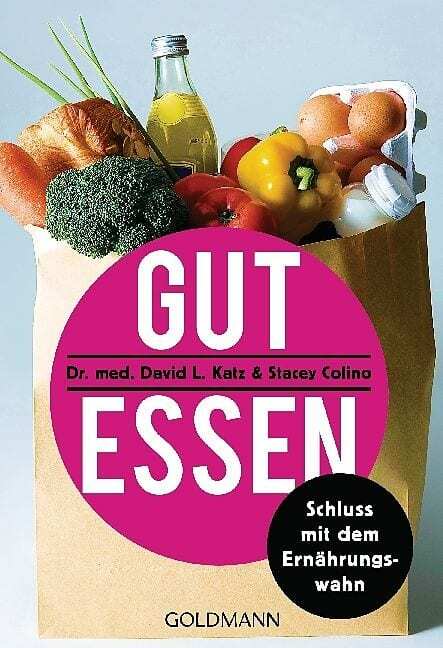 If you want to build better health and a better future, this book makes an excellent tool kit. David Katz is among my most respected colleagues. When it comes to using lifestyle as medicine, there simply isn’t a higher authority. In Disease-Proof, Dr. Katz advances a mission we share: empowering people to use what we know about the power of lifestyle to promote health. This is an important book. 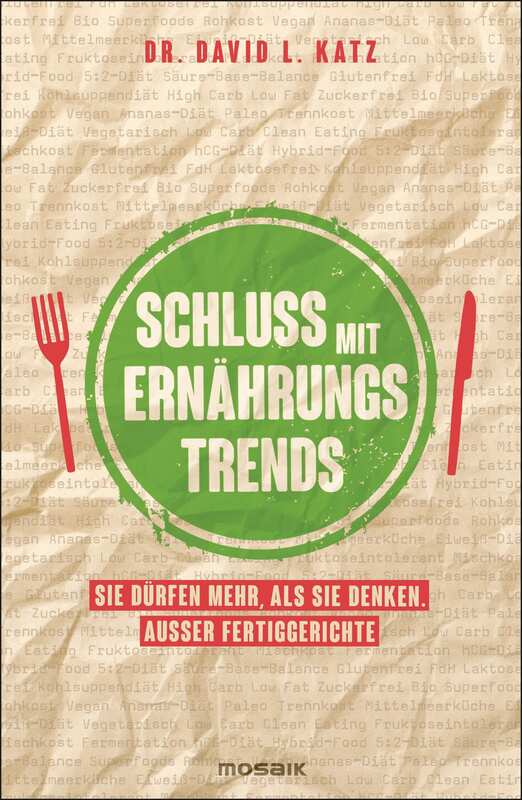 By offering insight into the hidden and not-so-hidden threats to our collective waistlines and our health and providing step-by-step advice to reverse the current obesity epidemic and the chronic diseases that go with it, Disease-Proof will empower readers to take control of their current and future health. Anyone who’s interested in protecting themselves and their loved ones from these problems will want to read this book—sooner not later. At a time when 75 percent of our health care spending is for preventable, chronic diseases, and when we are facing an epidemic of legal drug dependency, Disease-Proof is a book we desperately need — a reminder that, in more ways than we may realize, our health is in our hands. 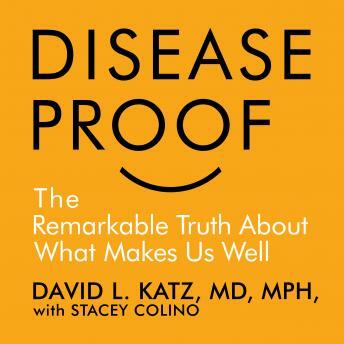 Dr. Katz’s conclusion that we all have the ability to lead healthier lives is sensible, well-reasoned, empowering, and based on the latest scientific evidence and decades of clinical experience. 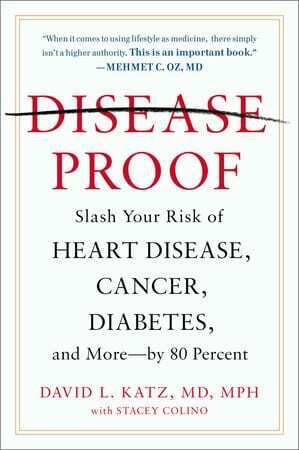 Comprehensive, accessible, and indispensable, Disease-Proof makes a compelling case for how we can reclaim our medical destinies and prevent many of the chronic diseases that are currently afflicting adults and children alike. It’s an urgently needed wake-up call for millions of Americans who believe their health is largely beyond their control. Disease-Proof is not only about knowing what to do to stay healthy; it’s also about developing the skills to apply that knowledge. Katz and Colino make the skills look easy. I especially appreciate how they encourage readers to take responsibility for the health of others as well as themselves and work toward creating a healthy society for all. The advice in Disease-Proof, if applied, will lead to a healthy, vibrant life. Everyone needs this information. Disease-Proof uniquely addresses what individuals can do to promote their own health, and what we can and should do together to help us all get there from here. Just about everybody stands to benefit from reading this book.